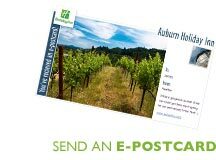 Weekend Wine & Ale Trail Package Come to Auburn, stay and play! 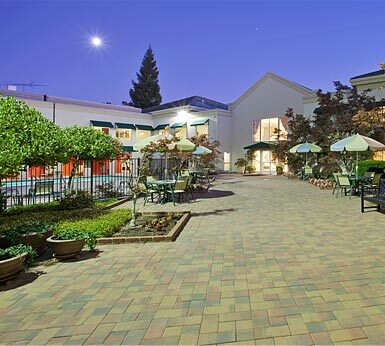 Situated along the northern belt of Mother Lode, amid lush pastures and gentle rolling foothills, this Auburn, CA hotel offers a beguiling blend of unsurpassed beauty and unrivaled service. Our Auburn hotel guestrooms are well-appointed and comfortable. Team Meeting and Team Building. Enjoy any of our four spacious meeting rooms then go whitewater rafting, wine tasting or visit any of our local craft breweries. Since its opening, the Holiday Inn in Auburn, California, has been the recipient of esteemed honors, including the Holiday Inn Worldwide Hotel of the Year and the Holiday Inn Excellence Award. Most recently, the hotel was recognized as a California Certified Green Hotel. Impeccable service, courteous and skilled staff, and well-appointed interiors have made the hotel the showpiece of the Gold Country.